This creative design is ideal to give your home a unique appearance! An original wall sticker from our birds stickers collection perfect for decorating that large empty space at home. 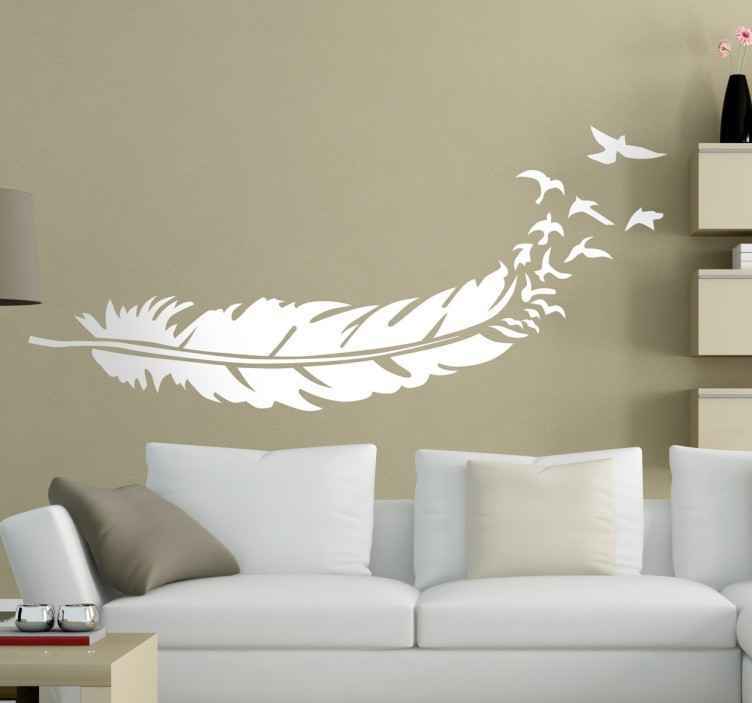 This monochrome feather decal is perfect for creating a desirable atmosphere. Tired of having empty walls? This sticker will do the trick! Available in various sizes and 50 different colours. This high quality vinyl design is available in various sizes and colours. Easy to apply and remove. It leaves no residue upon removal.